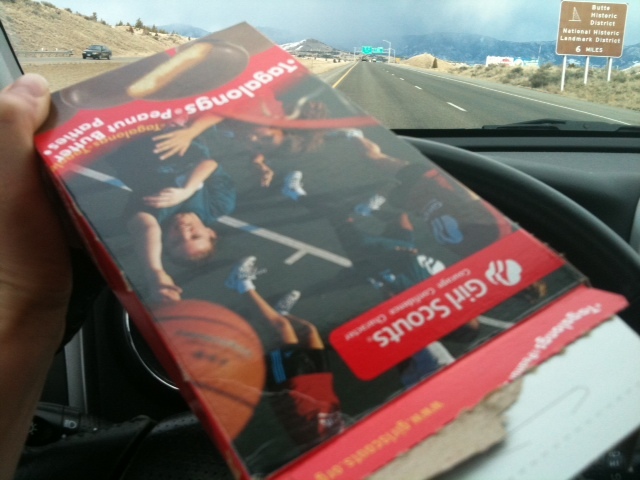 Near Anaconda, MT (yes, I sang the Sir Mix Alot song) I polished off yet another box of GS cookies. I am convinced they add crack to these things. Sneaky little girls… Ps- Anaconda makes me want to draw more snakes. Yes, I have it on good authority that there is a secret ingredient in GS cookies and you are right it is crack!!! !